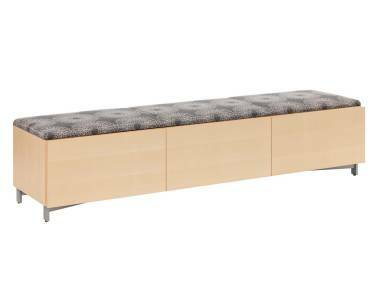 Exponents Bench by Coalesse provides a simple solution when extra seating and storage are needed. Exponents provides a holistic and functional solution for storage and collaboration in meeting rooms. Exponents Bench allows for overflow seating in the event of a larger collaboration and maximize the real estate of an office without sacrificing environment.